Want it by Wednesday 24th April? Order within 2 hours, 35 minutes and choose Next Working Day - Kerbside Delivery (Order Must be Placed by 2pm) at checkout. Balterio Tradition Sculpture Vintage Oak 467 9mm Laminate Flooring V-Groove AC4 1.9218m2 9mm thick plank with a width of 190.5mm and 1261mm long. Each pack covers a total 1.9218 square metres. 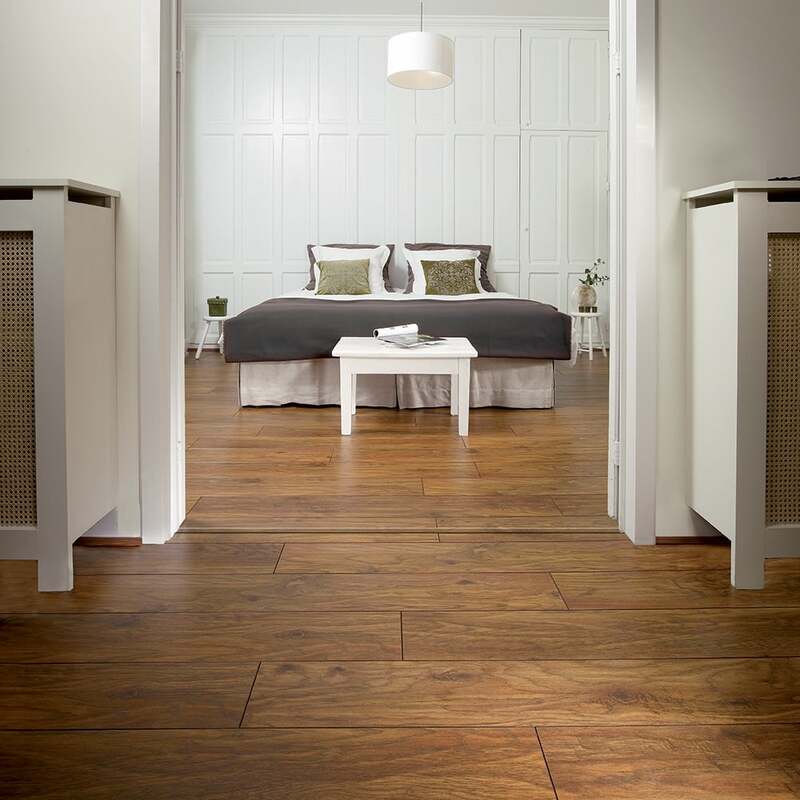 Balterio Tradition Sculpture Vintage Oak 467 9mm Laminate Flooring V-Groove AC4 1.9218m2 has undercurrents of orange and warm reds with the natural oak lustre. Great colour, a nice rustic appearance. Lovely with my decor!